while Ambient Mode alters the screen into a spectacular visual display. 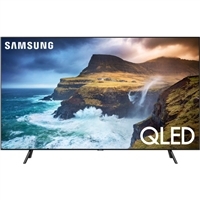 Enjoy lifelike scenes in Ultra HD with this 75" Samsung smart TV. Its 4K technology keeps image brightness and contrast closer to real life, and its Triple Black feature lets you see dark scenes clearly. 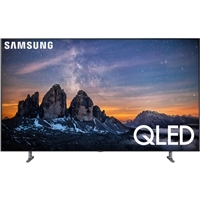 With this QLED TV, you'll immediately notice the difference. Experience a brilliant picture, enhanced by a billion unique colors. As smart as it is beautiful, the TV senses which devices are plugged in and controls them with one remote, giving you an incredibly intuitive TV experience. Get perfect color with more than a billion shades and 100% color volume with exclusive Quantum Dots. Elite delivers elite contrast and expanded color detail, even in the brightest and darkest areas in any scene. Q |4K elite black unveils outstanding blacks, bringing new life to dark scenes. 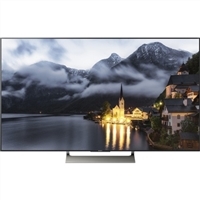 Bring your favorite movies and television shows to life in your living room with this Sony LED smart TV. Motionflow XR technology delivers clear, sharp motion through faster refresh rates, while the 4K HDR resolution highlights even the smallest details for an immersive viewing experience. 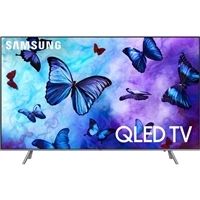 Its Active HDR technology and Dolby Vision support render the full image quality of 4K movies for an enriched viewing experience. This LG smart TV lets you stream favorite on-demand programs through its webOS 3.5 platform and via the LG Premium Channel Plus service. An unbelievably brilliant picture is made possible by millions of colors, producing images you have to see to believe. Thanks to exclusive technology, picture quality and color volume are elevated to incredible levels. LG OLED pixels create their own light - and can switch off to achieve truly perfect black levels - providing the foundation for displaying the lush - vibrant color that this LG OLED TV delivers. Go beyond what you've seen before with remarkable 4k HDR clarity, color and contrast.Scenes are made detailed,more natural and more real with 4k HDR Processor X1, and life's brilliance is revealed with extra smooth and vibrant colors. And with Android TV, find all the entertainment you want. It redefines the viewing experience by producing a colorful High Dynamic Range (HDR) picture. Our new Smart TV user-interface (UI), the new Smart Remote Controller with voice navigation capability provides faster access to your favorite streaming content choices and more. Introducing The Frame from Samsung - a revolutionary way to think about your TV. When you're not watching the brilliant 4K UHD TV with HDR, it turns into a beautiful work of art on your wall. 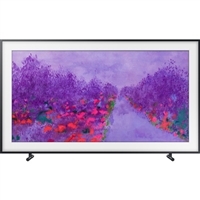 With an array of paintings, prints, photos, and frames to suit every mood and style, The Frame TV goes beyond entertainment and becomes an expression of you. The Best TV Ever just got even better with the new LG Oled-exclusive α9 intelligent processor, LG AI ThinQ, and 4K Cinema Hdr, plus Dolby Atmos audio. The Blade Slim design accentuates the LG Oled screen without distraction from the breathtaking picture. The awe-inspiring picture-on-glass design is made possible by a breakthrough approach to television engineering. The OLED module is applied directly to the glass back panel for a clean, ultra-slim profile. And the screen has a minimal bezel for minimal distraction. Discover the next level of 4K HDR entertainment with the power of the 4K HDR Processor X1 and our evolved X-tended Dynamic Range PRO technology for exceptionally high contrast, detail and clarity. All in a beautifully sleek design with a refined aluminum finish. Experience enhanced cinematic viewing with the lifelike picture on this 65-inch LG Super UHD TV. 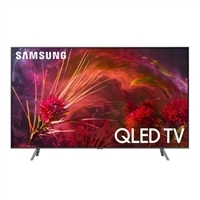 Its a7 intelligent processor provides sharp, accurate images in 4K resolution, and its ThinQ artificial intelligence creates a central hub for your smart devices. LG ThinQ TVs become the hub for your connected smart devices. Beyond apps and entertainment, LG TV uses intelligent voice control to create a hub for the smart home and beyond. 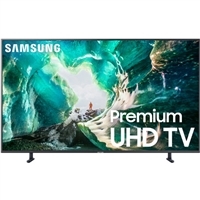 Bring the movie theater experience home with this 75-inch Samsung television. Its UHD Engine delivers high-quality 4K video to showcase every detail in a scene, and its Motion Rate 240 technology minimizes blur to keep up with fast-paced scenes. This Samsung television has a wide viewing angle so everyone in the room can watch comfortably. Beautiful scenery comes to life with the 4K HDR X1 Processor and Triluminos Display in the X850F 4K HDR TV. Discover incredible contrast on an OLED 4K HDR TV with 8 million self-emitting pixels. Pictures are amazingly real with the deepest blacks providing detailed shadow expression and vibrant color. Innovative Acoustic Surface technology delivers engaging sound directly from the screen. The most beautiful TV you've never seen. Introducing The Frame by Samsung - a 4K UHD TV that transforms into a gallery-like artwork experience when television is not being viewed. The Frame is the perfect solution for the design-conscious, finally letting their TV be a statement piece that blends seamlessly into their homes' decor. It fits beautifully into the primary TV room or even in rooms that normally wouldn't accommodate a TV. Discover an even clearer viewing experience with the a7 intelligent processor which reduces video noise, plus LG ThinQ AI, 4K Cinema HDR, and billion rich colors. A slender bezel accentuates the LG Super Ultra HD Nano Cell display, that improves color accuracy with its wider color gamut while absorbing unwanted light. adds subtle touch of elegance to any space. Bring the movie theater experience home with this 65" LG television. The A7 processor maximizes depth, sharpness and color to produce more lifelike images, and LG AI TV uses intelligent voice control to create a hub for the smart home and connected smart devices.